Kings Norton Garage Ltd are a well established, fully equipped, car servicing and repair garage based in Birmingham in the West Midlands run personally by the two directors, Nigel and Peter, who have between them over 50 years experience of car service & car repair to vehicles of all makes. We offer a FREE collection and delivery service from your home or workplace in Birmingham. By prior arrangement, we can offer a courtesy car should you need to be mobile whilst your vehicle is being serviced, repaired or MOT'd at our Birmingham garage. 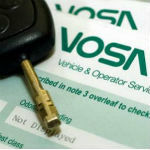 We operate a FREE reminder service for servicing and MOT schedules on your vehicle to help you ensure that your vehicle is always road legal and any warranty remains valid. Wherever possible, all our customers vehicles are returned thoroughly clean and sparkling. Our services include, MOT, repairs, annual servicing, body work repair, resprays, fabrication, rebuilds, restorations and even motorsport builds. Engine fault diagnosis and rectification. Complete engine and gearbox overhaul or replacement. Welding above & beyond MOT standard of damaged or rusted panels or chassis members, sills, floors, inner wings etc. Build or restore complete cars to customer requirements. Kings Norton Garage Ltd are also able to repair, service or build any vehicle for motorsport to full competition specification through our sister company M3 Motorsport. We build or restore all makes and models of vehicles to customer specifications. "Absolutely over the moon with the quality of service at Kings Norton Garage. Can't recommend them highly enough and they even washed my car ! Thanks guys. I won't trust my bright yellow baby with anyone else in the future!" "I had the misfortune of breaking down on my way to work. But fortunately I called the Kings Norton Garage! They recovered me within 5 minutes and were helpful and honest. They even helped me arrange a hire car. They fixed the car very quickly, which saved me money on the hire car. I was very grateful for their help and would use them in the future." "I have just had my tyres changed at the garage and thought the whole service was first class. Will recommend to others." "I have used this company for several years with a variety of different makes of cars. The repairs have been as simple as oil change to major body repairs, a gearbox rebuild and brake replacement . I have found both co owners very friendly and knowledgeable and above all offering a brilliant service at a very reasonable rate. I would highlly recommend Kings Norton garage for any repairs." "This is the first time I have used this garage and it wont be the last, I booked it in for a MOT and I got my car back in a better condition than I left it in ! It was cleaned inside and out and the service was second to none , the guys was friendly and honest unlike some of the other garages I have used in the past, I will definitely be using Kings Norton Garage again and I will also be telling friends and family about it too"
"I have my last few cars serviced and repaired by Kings Norton Garage. Always helpful and carefull. My car is always cleaned and the bill certainly seems cheaper than some other local garages. A good garage for female drivers!" "I received a text the other day, nothing new there you are possibly thinking but this was from Nigel at the garage reminding me that my car was due for an MOT the following week. If it hadn't been for this gentle reminder then I am sure the date would have passed me by. The service that Nigel and Peter provide is first class and all work carried out to the vehicles they service/repair is carried out to the highest standards and at reasonable rates, plus your car is always returned to you cleaned both inside and out! I would/have recommended them to family and friends and will continue to do so. Thank you guys for all of your help. " "A work colleague recommended Kings Norton Garage when I needed the hydragas suspension setup on my newly acquired MGF. I had a service carried out at the same time and was greatly pleased. Since then I have also had them replace the head gasket on my Rover 25. The service I received on both occasions was excellent and the work was carried out to a high standard. I will certainly use Kings Norton Garage again. From talking to Nigel and Peter it is clear that they are not just professionals but enthusiasts as well. I would recommend Kings Norton Garage to anyone." Make an enquiry. Service enquiries. If you have an enquiry about our services, please contact us. Get in touch. Speak to us. Call us on (0121) 433 3166. We are two minutes drive from the main Redditch to Birmingham Road,A441. Or just three minutes walk from the main Kings Norton Train Station. From A441 turn at the ‘BP Fuel station’ and head along ‘Camp Lane’ (just down the main Redditch road from the Kings Norton Fire Station). Just after the ‘Camp Pub’ the main road bears to your left, but, carry straight on into Eckersall Road, just before the pedestrian crossing. Proceed along Eckersall Road towards the tallPilkington factory and at the mini Island turn left, (just after the Vauxhall/Rover spares shop). After 200 yardspark along the left hand side of the road, towards the end of the fencing, where you will see the ‘Kings Norton Garage’ signs on the last building. There is a pedestrian entrance through the fence, please come through bear right and come in and see us for any work or just a chat about your vehicle, or any of the interesting vehicles we may have in the workshop.